Many countries in the former USSR built Modernist, co-operative public housing estates in the 1920s and 30s, but their engagement with Modernism ceased in the early 1930s when the General Plan for rebuilding Moscow demanded a new, Stalinist style termed ‘socialist in content and national in form’.3 This new Socialist Realist style, deployed after World War I, has effects that are still visible in all of the rebuilt Eastern Bloc cities. Those Polish cities, like Warsaw, that had been nearly completely destroyed by the Nazis were reconstructed from scratch by the new Moscow-controlled authorities. The Polish Six Year Plan (1950–1955) saw Warsaw spectacularly brought from the dead. Similarly, a building boom happened in the rest of Poland, with reconstructions of Gdansk, Wrocław, Tychy, and the building of new towns like Nowa Huta – essentially a steelworks colony, built by outrageous effort between 1949 and 1954 in suburban Krakow in a grandiose Socialist Realist style, with boulevards wide enough to be able to host tanks in case of World War III. This was the reality of the Cold War – a constant competitiveness in all fields including technology, which the Soviet Bloc could mostly win only by propaganda. But where did the rest of the postcolonial world fit in this division? In the ‘thaw’ of 1956 Boleslaw Bierut, the Communist Party leader and prime minister of Poland, died, and was replaced during great turmoil by Władyslaw Gomułka, who criticised the period of Socialist Realism as ‘the era of errors and distortions’4.This event opened a new chapter in Polish planning and architecture. 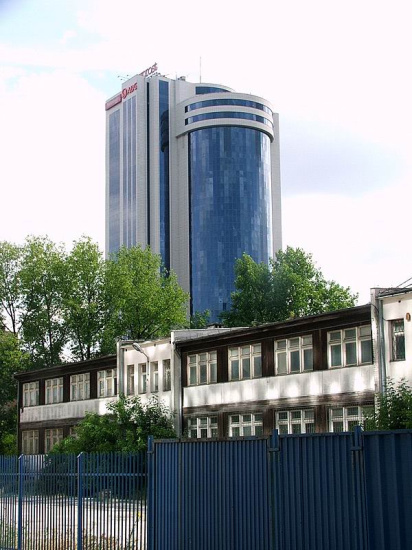 The architecture built during this period – cheap, prefabricated blocks of flats, in keeping not with Modernism as international style, but rather with modernist German Siedlungen, or low-quality housing estates built on a massive scale – was entirely opposed to the totalitarian opulence of the Stalinist Palaces of Culture. With a housing crisis still pervading society since the War (which continued throughout the span of communist Poland), the quickly built, though initially well-planned estates started to fill the cities in the whole Bloc. 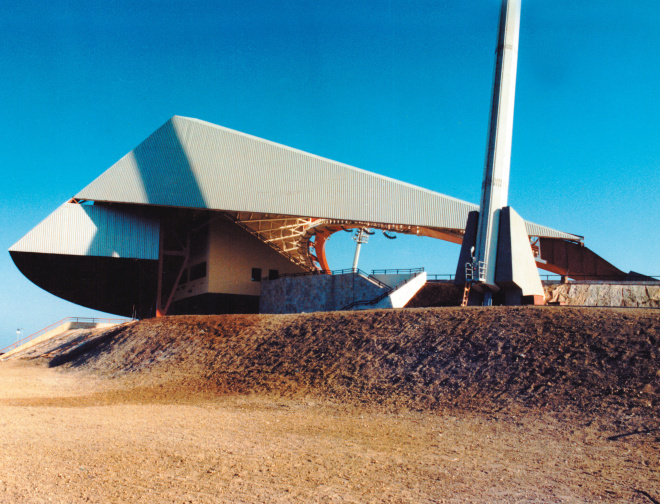 Interestingly, this spectacular achievement put Eastern Bloc architects at the frontline of new ideas for housing solutions, as master-planners and city constructors. The success of this attracted ‘developing’ countries from outside the Eastern and Western Blocs to hire the cities’ planners and architects. 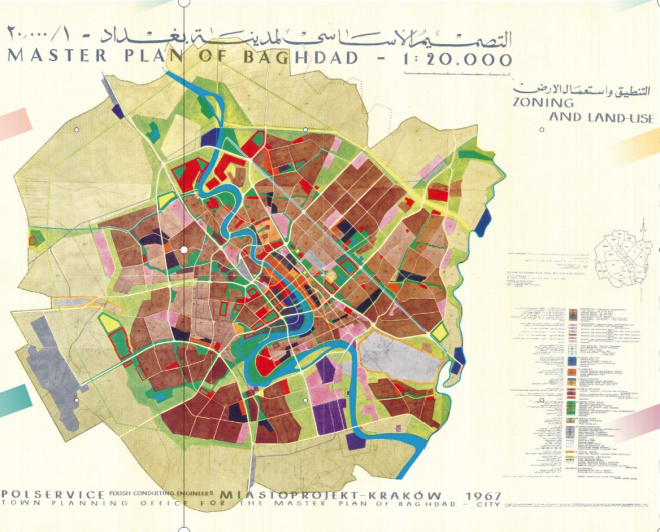 Large state-owned national architectural practices like Miastoprojekt from Krakow or Energoprojekt from Belgrade started working for Middle Eastern and African countries who were members of the Non-Aligned Movement.5 Miastoprojekt, the designers of Nowa Huta, won a prestigious competition for Baghdad’s master plan in 1967, a general housing programme for Iraq between 1976 and 1980. They continued to work in the Middle East until the 1980s. The founding of and collaboration with the Non-Aligned Movement was part of the geo-political development of a ‘third way’ between capitalism and communism. And there was a lot in between: the oil-rich Middle East, Africa and Latin America emerging from colonial rule. They were all underdeveloped and needed new kinds of cities and housing. The fact that socialist Poland assisted in this endeavour was a source of prestige for urbanists, proof of the success of socialism and an expression of the Eastern Bloc’s political and economic support for the newly founded states. 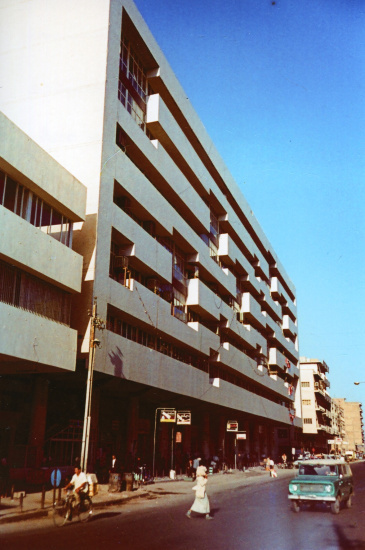 Through this, functionalist urbanism became a global idiom in the 1960s at the hands of architects from the ‘socialist countries’. 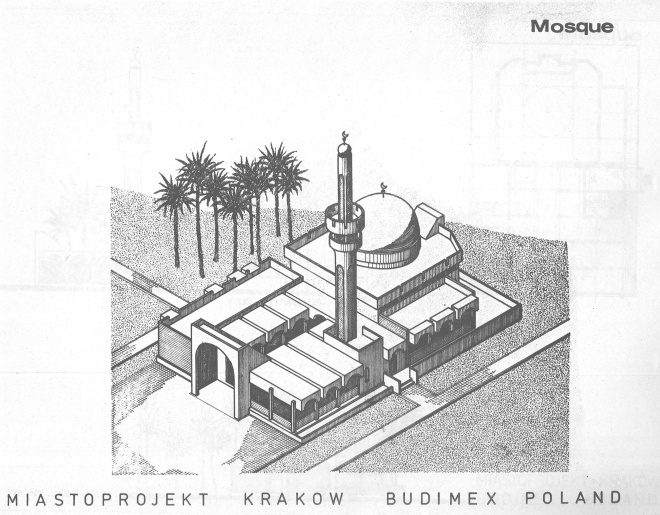 Master plans of Baghdad and Aleppo, administrative buildings in Kabul, museums in Nigeria, the trade fair in Accra and governmental buildings in Ghana were all drawn up by Polish architects, and were collected in the exhibition ‘PRL™ Export Architecture and Urbanism from Socialist Poland’ at the Warsaw Museum of Modern Art in 2010. 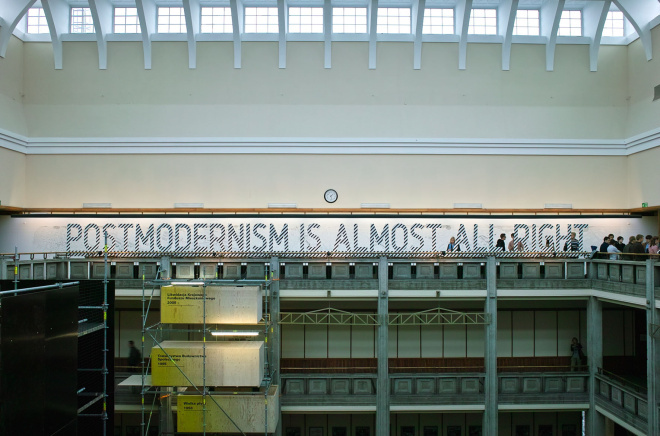 The exhibition showed conclusively how the USSR and its periphery, which had rapidly gone from being rural to industrial economies, were considered by Non-Aligned countries to be models for their own modernisation. During the 1970s this work abroad was increasingly economically motivated, as Poland had to pay off the loans taken by the new leader Edward Gierek for new investment in the country. As the economic crisis in Poland developed, it sparked a crisis of belief in ‘real socialism’ among its citizens. 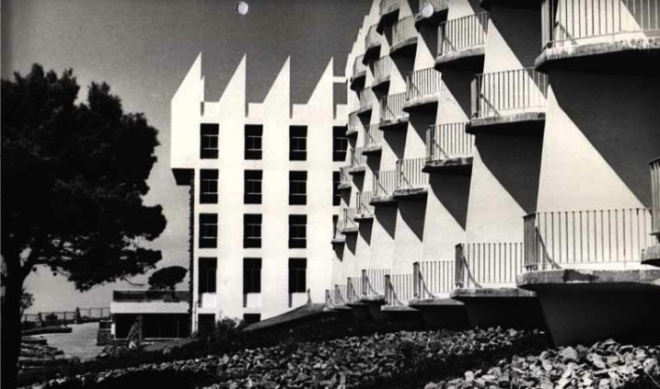 And Polish architects became especially keen on exporting their work, as their task at home was completely subsumed under the requirements of the state building industry and bureaucratic apparatus. Until a certain moment Polish skills and techniques were highly desirable. They stopped being so in the late 1970s, when imperialism moved into the Non-Aligned nations, forcibly shifting alignments: Indonesia faced a US-backed coup in the 1960s; Egypt reconciled itself to the US after Sadat became president; and in Iraq Saddam Hussein similarly had the US’s support. From being the forerunners of architectural planning, all of a sudden Poles had to learn and absorb a completely different architectural idiom – a more Americanised form of postmodern architecture and planning. And perhaps now that the countries of the Non-Aligned Movement were no longer neutral, they were no longer so keen to be associated with the Eastern Bloc. 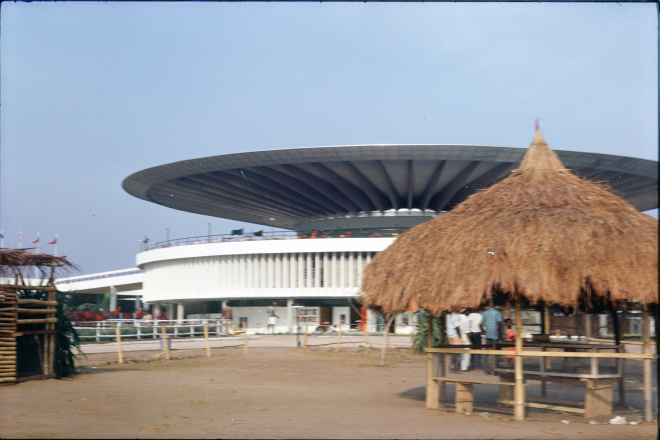 Rather than being modern, from this point former Non-Aligned countries aimed to market themselves as tourist destinations and started to favour more traditional architectural styles, exoticising their otherness. Meanwhile, countries that became wealthy from oil in the 1970s soon had the wealthiest ruling class in the world. Thus they wanted to build aptly representational buildings, focusing less on housing and basic infrastructure and more on display. One can endlessly ask the question of what caused the rise of postmodernism, but it is clear that the reaction happened everywhere. 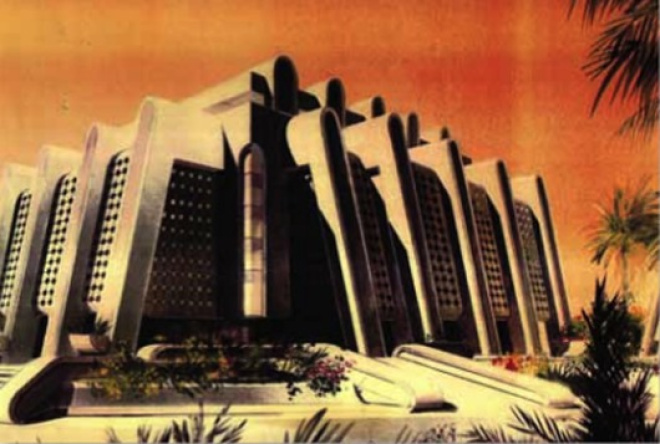 Each country, in the First, Third and Second Worlds, had adopted modern architecture, so in the end an attack was made across the board on a style apparently boring, monolithic and monofunctional. It would be interesting to more closely examine the strange recurrence of Socialist Realism, first as the USSR’s equivalent of the capitalist architecture of the US, drawing at the same time on native tsarist flamboyance, and then later rhyming with the Postmodernist shift worldwide and after 1989, fitting so well within the demands of Capitalist Realism. The future of Socialist Realism is complex. In the West and the newly Westernised EU-members of Osteuropa, it is alternately rejected as a relic of the condemned past or unexpectedly embraced. The grand public spaces of Karl-Marx-Allee in Berlin or the Palace of Culture and Science in Warsaw are now often liked by locals, although certainly no new buildings try and emulate them. In the East, sometimes a very far East indeed, the style unironically adorns undemocratic, turbo-capitalist regimes, from Ukraine to Kazakhstan and Uzbekistan, and even extends to oil-garchies Bahrain and Saudi Arabia. Mecca’s Abraj al Bait skyscraper closely evokes the Stalinist towers of the 1950s, with its grandiose historicist ornament, axial symmetry and its lofty spire. With a sense of guilt for ‘exploitation’, this kitsch oligarchitecture is occasionally exposed in contemporary design magazines or exhibitions, but is seldom taken seriously. But is there really such a distance between the ‘high architecture’ of, say, the cityscape of Dubai or Norman Foster’s sinister glass Pyramid of Peace for the Kazakh capital, and the ‘kitsch’ simulation of Stalinist styles in the same city’s Triumph Astana? 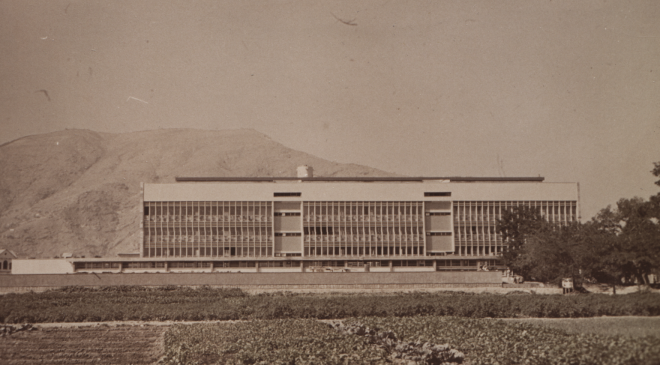 These recent projects and exhibitions on the many worldwide legacies of socialist architecture ask some pointed questions about where we might position the ‘centre’ and ‘periphery’. We find first an authoritarian Socialist Realist style abandoned in the late 1950s which is then evoked, stripped of its direct political associations in the new capitalist architecture of the 1990s; when we try and find out where this evocation of demonised styles comes from, we find the experiences of architects forced to adapt to new trends from the West. Nothing is certain, nothing corresponds to the cliché of hostile rival blocs. More than anything else, we find an era and an architecture that was struggling for alternative scenarios of modernity, rather than limiting itself to a familiar dichotomy between empires East and West. Alison Crawshaw visits Rem Koolhaas’s exhibition at the Venice Architecture Biennale reflecting upon his fetish for obsessive expertise. Owen Hatherley considers the student occupations in the UK, reading them as a protest both against the spending cuts and against the New Labour partial privatisation of universities and educational space. On Saturday 2 June 2012, Calvert 22, in collaboration with the History of Art Department, University College London, will hold a symposium to explore the work of the Slovenian artists' group IRWIN and East Art Map in relation to strategies of archiving, self-historicisation and re-enactment in Eastern European art. Edited by IRWIN, East Art Map surveys the extraordinary artistic landscape of the eastern half of the European continent and attempts to reconstruct some of the hidden histories of contemporary art.